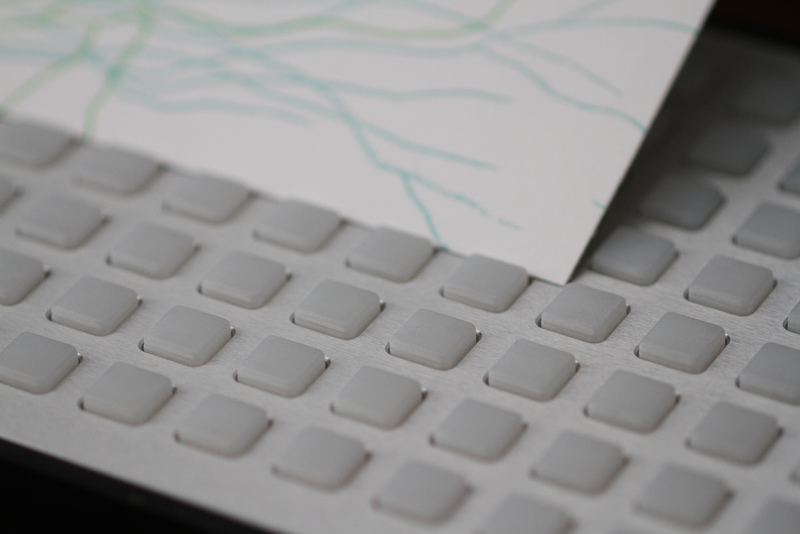 Grids and roots – a close look at the monome 128. Photo (CC-BY) bm.iphone. They’re not great in number – only a handful of producers have monome hardware, scattered across the globe. And their obsession is unique, the boutique grid (and now encoder) creations of Brian Crabtree and partner Kelli Cain. But in the latest signs of how committed this community of artists is to using these hardware interfaces for DIY software and to doing it with one another, the monome community has been busy. They have a new compilation, the first experiments (via monome maestro stretta) with the new arc, and now a festival planned for New Mexico in May. stretta does some beautiful design with it and a granular patch, dialing in both rich textures and rhythmic beats. I like to work with my hands. This is one reason why I enjoy working on the modular. The monome arc advances the ideal of touching sound, to be able to meaningfully improvise with audio in real-time, to sculpt like clay. I have a bit of trepidation about something monome related appearing on music technology blogs because the reactions I’ve seen recently have gone non-linear. In other words, there are people that are not capable of judging something monome-related on its merits, rather, they are reacting out of existing prejudice. Of course, this isn’t the exclusive domain of monome, some people will have something against ANYTHING out there, whether it comes from Avid, Behringer or myself, but the problem seems particularly acute with the monome. What? Music technology blogs? Where? Quick, duck! Actually, I think the key line is the last one. The problem isn’t acute at all with the monome. The difference is, whereas traditional forums have covered technologies from vendors like Avid, most of the heated discussion gets funneled through, well, for monome at least, this site. I could simply refuse to post the above video. I also have the power to turn off comments on this post. I don’t think either is appropriate. For whatever powers of overexposure the Internet may have, it also affords its readers near-infinite abilities – barring direct censorship – to look at anything else they choose. And as for comments, I still have faith in the open forum, even if it isn’t always pretty. So, please, stretta, don’t quit the Internet, and don’t let the turkeys get you down. Critics, criticism is a worthwhile activity – put it in terms that let people consider your actual criticism rather than just get defensive. In other news, the monomists have put together both a community-built, eclectic compilation, and plans for a festival in New Mexico. And the gang is planning for Gridfest, an all-monome festival in Santa Fe, New Mexico, planned for the first weekend in May. They’ve got a Kickstarter out looking for funds, which can net you CDs or even a track or “monome flower” made just for you, among other prizes. In other words, even if The Internet sometimes rises up to criticize the monome movement, it’s also the medium through which a disparate, loosely-knit group of artists spanning hemispheres has been able to connect. It has probably made what would have been an isolated oddity into something bigger. Earlier in the Web revolution, we saw ever-more-select genres. Now, we’re seeing friendships form around specific technologies, paradoxically often spanning genres instead of narrowing them. So, my main question isn’t for the monome community at all. It is, simply, what’s next? What other design — if any — might have a similar impact? And will lovers of other specific technologies come together in the same way?